Does Black Panther Live up to the Hype? But let’s jump into it. Black Panther is the first Marvel movie directed by a Black man (Ryan Coogler) with the cast being made up of mostly Black actors and and and featuring a mixture of African culture. It was seemingly hyped up because of that. Every tweet, every article, was about the beautiful blackness of Black Panther and while that is true, credit should be given to the amazing way the movie was put together. A cast so strong in character, so perfectly suited to be the superheroes we have never seen and have only dreamed of, brought this movie to life. T’Challa (Chadwick Boseman) returns home after the death of his father, the King of Wakanda, to take his rightful place on the throne. Soon after, the new King is faced with an enemy of Wakanda, which risks destroying and exposing the secret, technologically advanced nation. Although this very short synopsis only makes mention of T’Challa, the plot of the film is carried by three strong, smart, black women: Okoye, a warrior (Danai Gurira), Nakia, a super spy (Lupita Nyong’o) and Shuri, Wakanda’s leading scientist (Letitia Wright). I am sorry, you can keep Wonder Woman, Black Widow and all the other boring women you have shown me before. I want more of Okoye, Nakia and Shuri. These women, although beautiful, were not part of the décor of the film. They didn’t need saving. They wore practical clothing, high heels FOR WHAT? When a wig became inconvenient, it was used as a weapon. That right there, that’s my Queen. Oh, and they were funnier than the men. Now, let’s quickly discuss Wakanda. Someone tweeted (I wish I could give them credit, but I don’t remember who it was, if you know, tag them) Wakanda is what African nations would have been like had we not been colonized. Most countries in Africa, much like Wakanda, had an abundance of resources, much like Vibranium, which was taken away. African people are smart, innovative and very rarely given the opportunity to grow. Oh, before you go on and on about how this is fantasy and sci-fi. I KNOW I SAW THE MARVEL LOGO BEFORE THE MOVIE STARTED. The magnetic levitation trains excited every part of me and each time a train flew through, I tingled all over. For those of you reading this outside of South Africa, we have the worst train system. Our trains are unsafe and unreliable and it will take us years to fix the mess made in a time where we had no rights to vote. 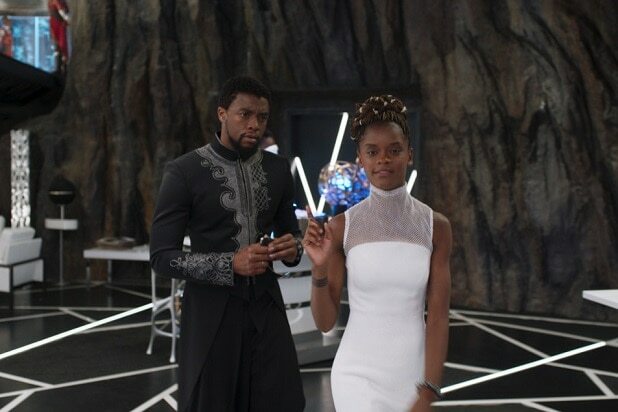 Black Panther is one of the few movies where I found myself relating to the ideals of the villain and simply disagreeing with the way it was carried out. I don’t want to say too much, but his last line in the film was brave, honest and I can’t believe it was said in a superhero movie. Although Wakanda is a fictional nation, they spoke isiXhosa, which was unreal. I don’t speak it fluently, but recognising words and sentences was exciting. The couple next to us shrieked in enjoyment each time something was said in isiXhosa. I am so happy. Also, an Afrikaans man going home to Joburg. Done. Done. It was too much for me to handle. Finally seeing references that I understood, was incredible. Last, but not least, the music was perfect. A mixture of musical styles (including Babes Wodumo!) paired perfectly with each scene, each beautifully choreographed fight with the near constant drumming preparing me for battle.